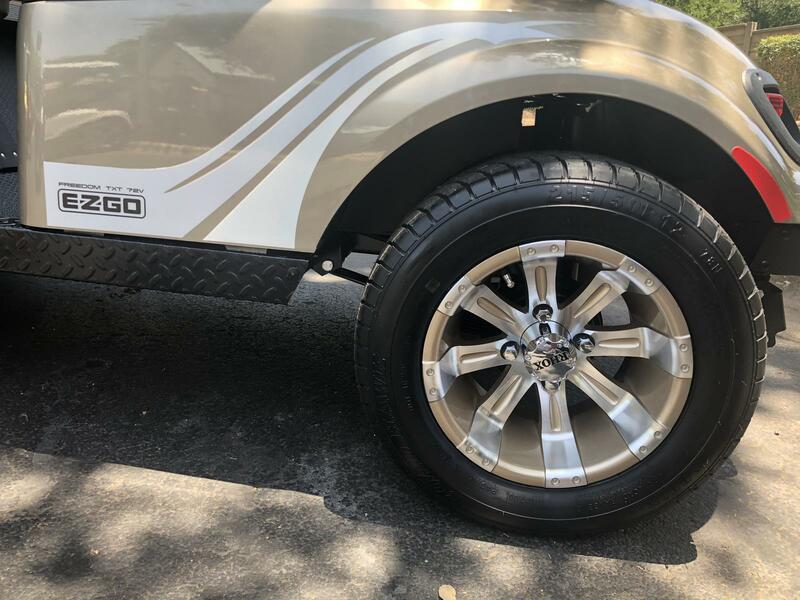 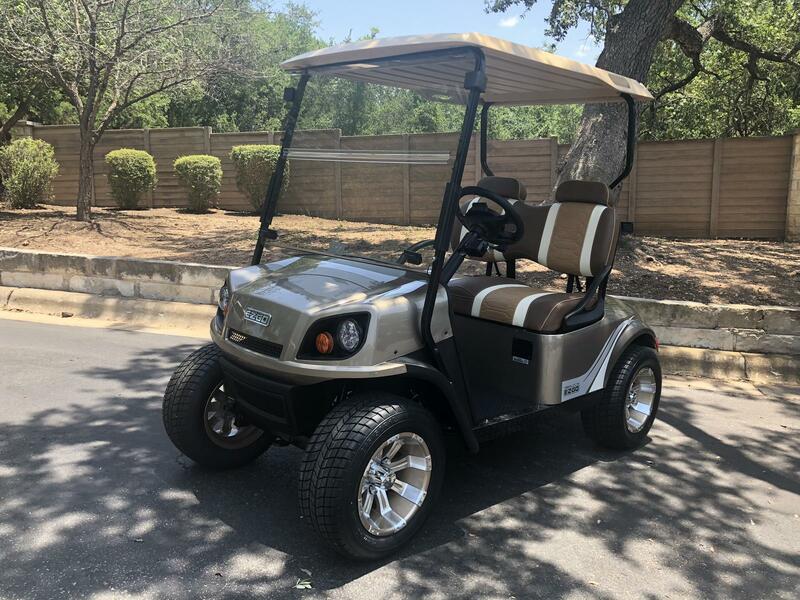 TXT Freedom 72V AC Drive electric equipped with LED head lights, tail lights, brake lights, horn, turn signals, custom seat, windshield, 350 amp controller, 2" lift, 12" custom wheels/tires, top, graphics package, state of charge meter, USB port, enhanced suspension. 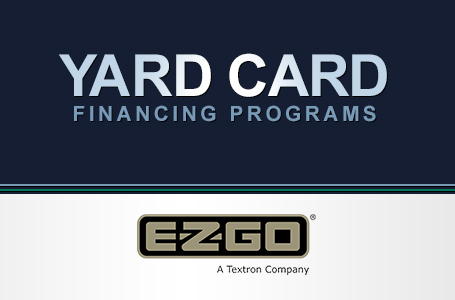 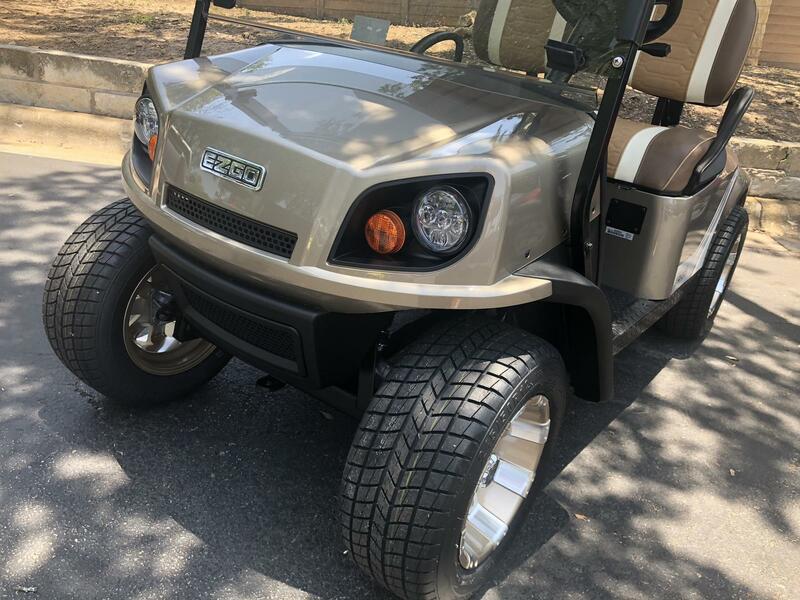 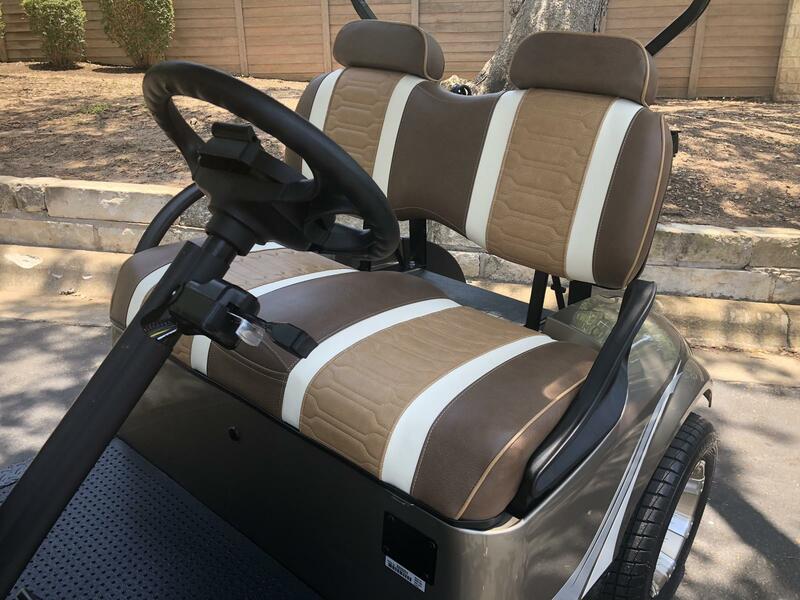 The E-Z-GO® TXT® golf car combines proven reliability with the industry's latest innovations to deliver a consistently smoother ride and greater energy efficiency. 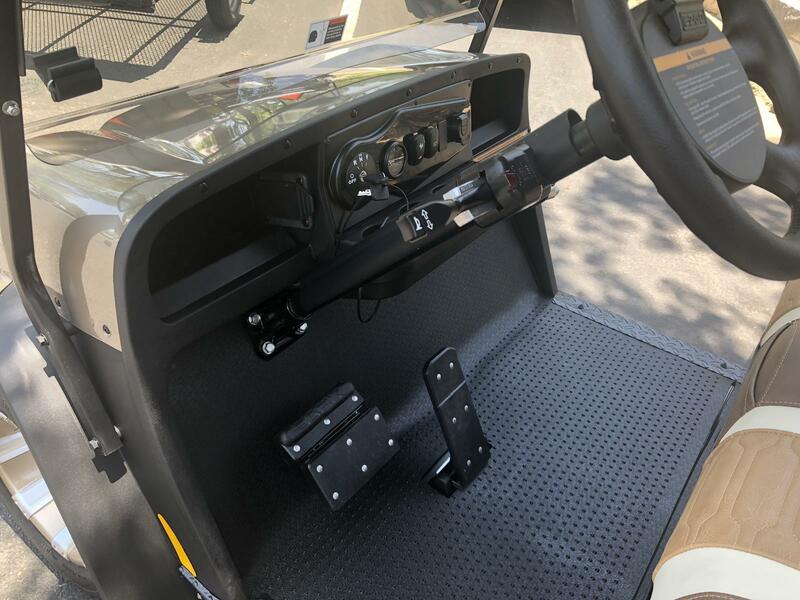 Featuring a 48-volt electric drivetrain and TruCourse™ Technology, it offers the perfect balance of performance and efficiency to your course.